That is 120 dB x 10^16; or in other terms: 10,000,000,000,000,000 times louder than a starting jet air plane! 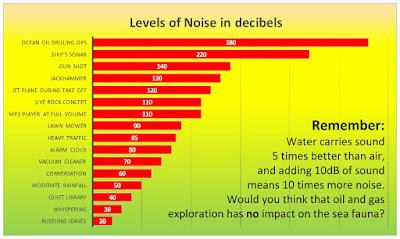 This incomprehensible amount of noise is produced under water where oil and gas companies explore new resource fields. 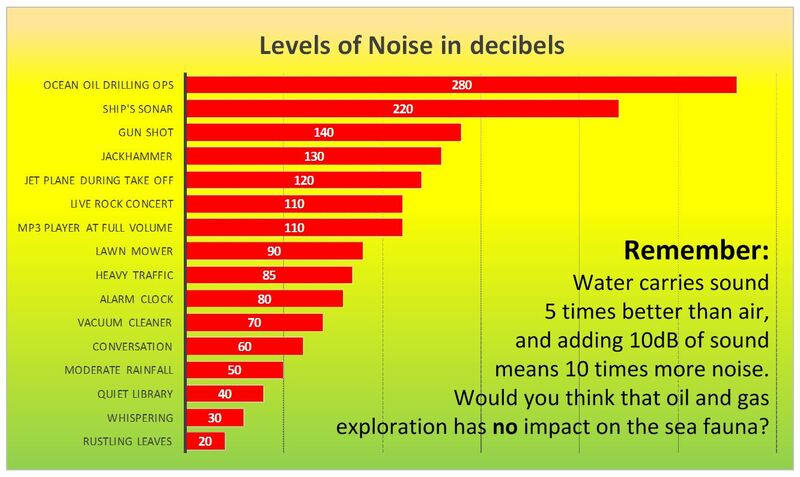 For the tech heads, some detailed info on decibels can be found on MISCELLANY and the UNSW website.